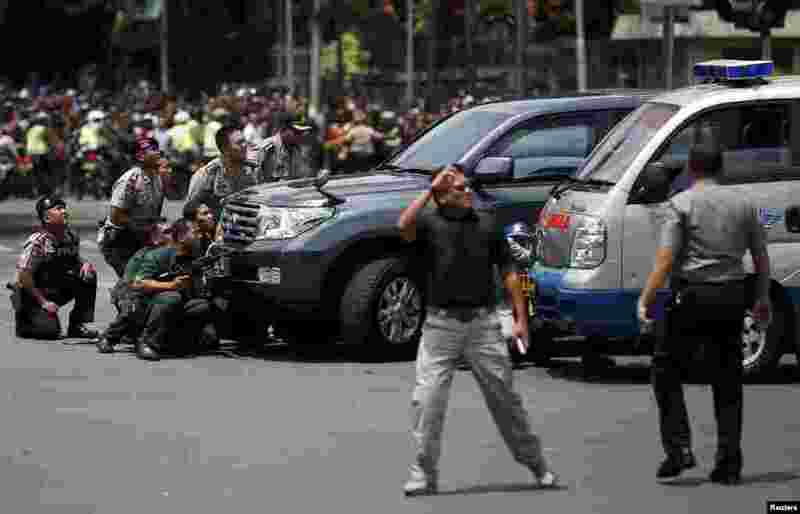 Militants set off a series of explosions in Indonesia's capital, Jakarta, according to officials and witnesses, triggering a series of heavy gun battles with police and leaving at least seven people dead, including all five attackers. Islamic State has claimed responsibility for coordinated bomb and gun attack. 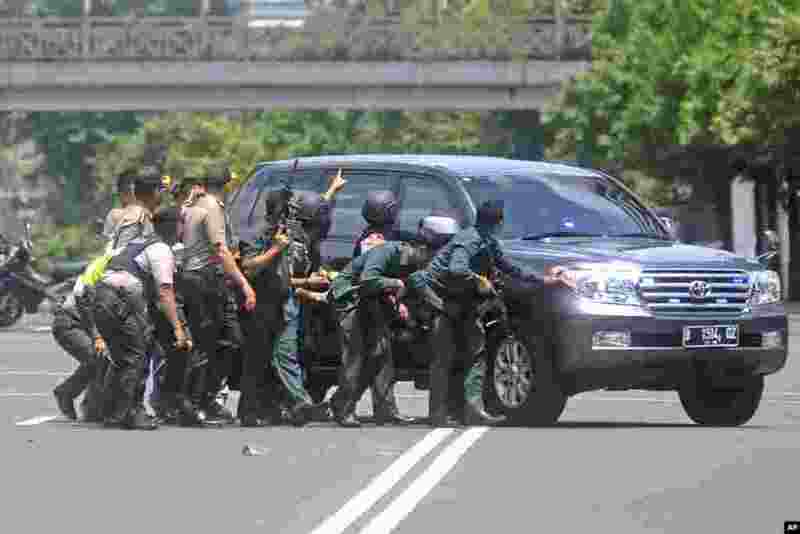 1 Police officers take cover behind a vehicle during a gun battle with attackers near the site where an explosion went off in Jakarta, Indonesia, Jan. 14, 2016. Attackers set off explosions at a Starbucks cafe in a bustling shopping area in the capital and waged gunbattles with police. 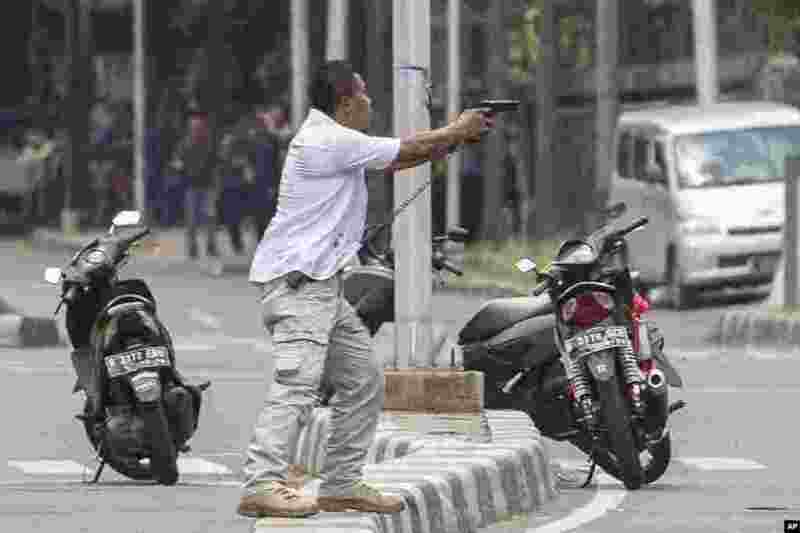 2 A plainclothes police officer aims his gun at attackers during a gun battle following explosions in Jakarta. 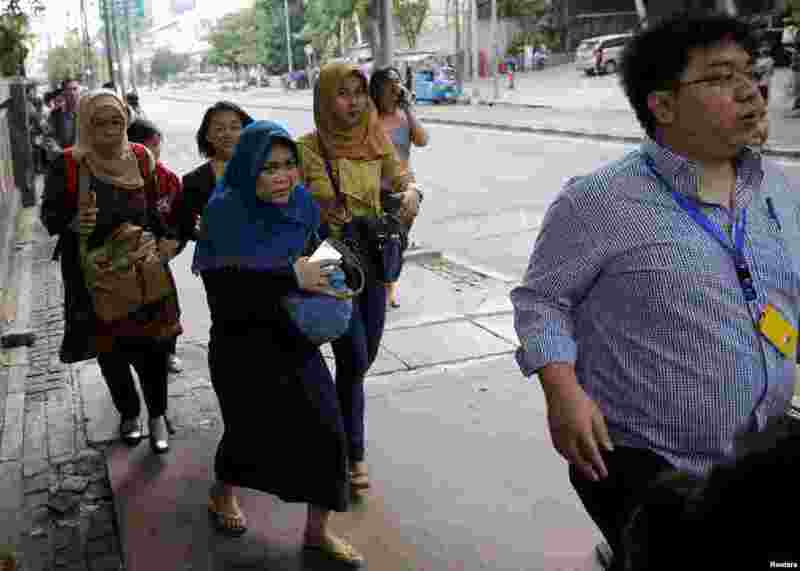 3 Indonesian workers run as they are evacuated from their offices at Thamrin business district in Jakarta. 4 Several explosions went off and gunfire broke out in the center of the Indonesian capital and police said they suspected a suicide bomber was responsible for at least one the blasts.